Some companies are trying to turn sentiment reading and neuroscientific data into a creative toolkit for advertisers. In the world of beer advertising, emotional attachment is everything. Marketers are often trying to sell consumers feelings—game-day excitement, nightclub cachet, good times with friends—as much as they are the beverage itself. But if the two aren’t intrinsically connected, the advertiser risks producing emotional ambiguity. That was the dilemma that startup Spark Neuro’s researchers had in mind as they monitored the brain activity, heart rate and palm sweat levels of beer commercial test-viewers recently on behalf of an unnamed major brewery conglomerate. The advertiser had strong emotional creative, but it didn’t seem to generate a thirst for beer. The team’s solution: adding exaggerated fizzing sounds of pouring a beer, which tests showed snap viewers’ attention back to the product. “If you ever pour beer from a tap into a glass, it’s essentially inaudible,” said Spark Neuro CEO Spencer Gerrol, adding people’s brains lit up with massive emotional responses when those sounds were exaggerated. Advanced forms of sentiment reading and neuroscientific data collection from entities like Spark Neuro, Affectiva and MIT’s Media Lab have made it possible to build a nuanced and granular picture of the feelings that various pieces of content elicit. Some companies are trying to turn that capability into a creative toolkit of emotional hacks for advertisers, agencies and media producers. Proponents claim that these methods can improve on the types of focus groups the industry has used for ages by picking up on subconscious cues, eliminating survey biases and supplying vastly more data for less money. Small visceral tweaks like adding fizz to a beer spot are a specialty of Spark Neuro’s. The startup uses a science-fiction-esque headset and wrist attachment to determine emotional reactions to video advertisements and media with biometric data and proprietary algorithms. It’s worked with big brands like Fidelity, State Farm and Walmart as well as major Hollywood studios and streaming services. The company raised $13.5 million in August in a round led by Peter Thiel’s personal venture fund with additional backing from Will Smith and former Disney CEO Michael Eisner. "The emotional response to content remains a critical question for marketers to answer." KMB is one of the biggest clients of an emotional artificial intelligence startup called Affectiva, which aggregates facial data and speech analytics from remote video interviews with test-viewers all over the world. As it’s been fed tens of thousands of ads and video reactions to them, the startup’s system has learned to notice cultural nuances in the way its diverse audiences show emotion. For example, South Koreans tend to not be very expressive, whereas Brazilians are much more expressive, according to Page. In one recent instance, KMB used Affectiva’s tech to study how people perceived female gender stereotypes in ads on behalf of Unilever. Based on a two-year survey of 800 ads, they found that the mere 5 percent of ads that cast women in authoritative roles significantly outperformed those that had more stereotypical parts. FedEx evp, chief marketing and communications officer Raj Subramaniam said that when the brand shifted its marketing strategy “to capture the emotional side of package delivery,” it tapped Spark Neuro to measure the emotional impact and attention levels of a series of potential ads. The startup helped the delivery company arrange a multichannel campaign based on the reactions. 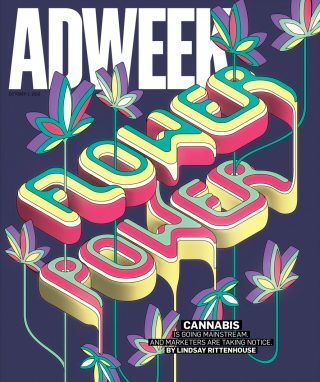 This story first appeared in the October 1, 2018, issue of Adweek magazine. Click here to subscribe.